In the U.S. Capitol Rotunda: The "Frieze of American History" is painted to appear as a carved stone bas-relief frieze but is actually a trompe-l'œil fresco cycle depicting 19 scenes from American history. Pilgrims led by William Brewster give thanks to God for their safe voyage in this scene depicting Plymouth Colony. Embarkation of the Pilgrims was commissioned in 1837 and placed in 1844. Painted by Robert W. Weir, it depicts the Pilgrims on the deck of the ship Speedwell as they depart Delfshaven in South Holland on July 22, 1620. The Pilgrims traveled aboard the Speedwell to Southampton. 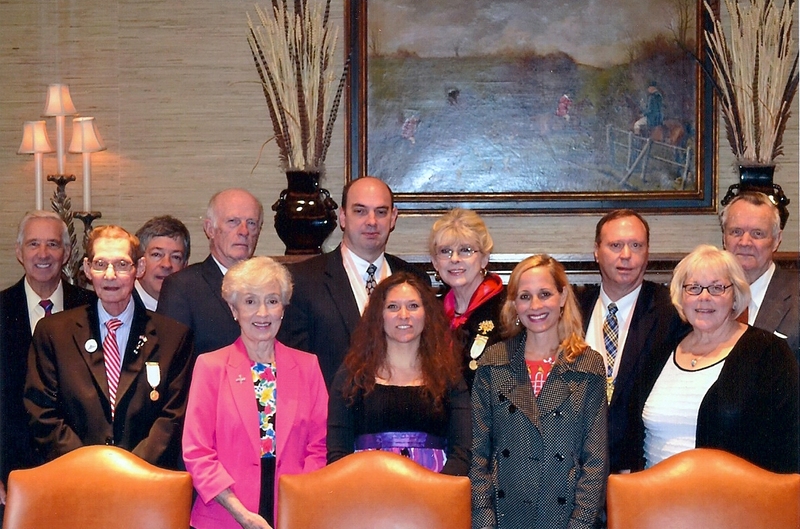 There they met additional colonists and transferred to the Mayflower. 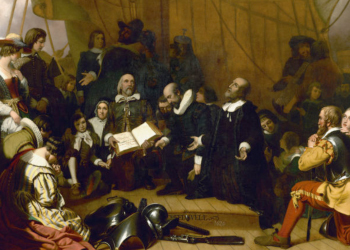 The painting shows William Brewster, holding the Bible, and pastor John Robinson leading Governor Carver, William Bradford, Miles Standish, and their families in prayer. The rainbow, at the left side of the painting, symbolizes hope and divine protection. 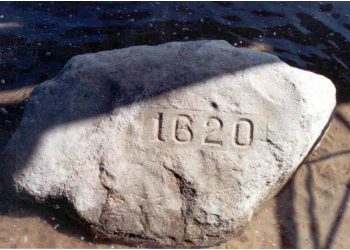 The famous Plymouth Rock is located on the waterfront in downtown Plymouth, near where Mayflower II is anchored today. A significant accomplishment of the General Society of Mayflower Descendants was the purchase, in 1941, of the Edward Winslow House in Plymouth, Massachusetts. 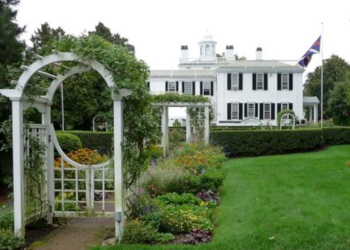 The grounds host the historic eighteenth century dwelling built by Edward Winslow. Behind this stately mansion are the offices and library of the General Society of Mayflower Descendants. Edward Winslow, the great-grandson of Edward Winslow, third Governor of Plymouth Colony, constructed the house. 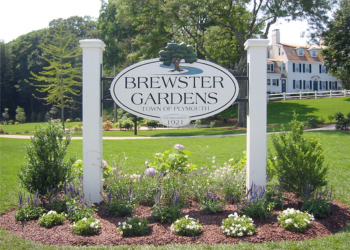 Created in the early 1920's, the park covers the original garden plot that was granted to Elder William Brewster in 1620. The park runs along both sides of Town Brook from the nature trail at the headwaters of the brook, past Jenney Grist Mill.